Adster Creative is an award-winning digital marketing agency based out of Edmonton, Alberta. As a Featured Google Partner, we help businesses win new customers, generate quality leads and grow their online presence using world-class search engine optimization (SEO), Google Ads management and website optimization strategies. Is it time to grow your business? NOT YET, I WANT TO LEARN MORE! Why Work With Adster Creative? 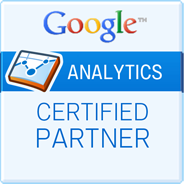 As a Google Partner, we've been vetted by Google and recognized for having happy and successful clients. Google Partners follow Google’s best practices and are always “in the know” with Google's latest advertising products and lasting, ethical SEO strategies. We've helped over 500+ clients across North America build a better online presence. We work with traditional agencies, internal marketing departments and a diverse range of small to medium sized businesses. We also boast a 97% positive review rating, are a member of Digital Alberta, the Advertising Club of Edmonton and are proud to have an A+ status with the Better Business Bureau! In 2014 our agency was featured in the national re-branding of the Canadian Google Partners program. As such, we were awarded as 1 of only 10 Digital Marketing Agencies across Canada to be highlighted in an international case study, and have been featured in 5 more since that time. We now enjoy advanced marketing and communications support directly from Google and as a Featured Google Partner, we get to host cool Google Events like: Google Connect™ and Google's ongoing Digital Breakfast series. 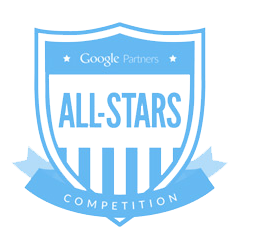 To date, our agency has won the Google All Stars Competition over 5 times and our talented team continues to work extensively with Google Canada on the latest in digital marketing trends! Our team boasts a 97% positive client review rate and we're proud to have an A+ BBB rating!